It was the best of traditions and today we’re bringing it back! These are my Grandma’s Sugar Cookies. Soft and buttery with just the right amount of vanilla, they are the perfect base. I’m sure I will experiment with other recipes in the future but we’re starting with the tried and true. These do puff up when you bake them. Not enough to lose their shape but they do get bigger. This time I was experimenting with our icing so I thinned it down and we piped it on like royal icing. I tried making royal icing but I just couldn’t get past the taste so we compromised. This batch is a simpler one than normal. I piped a white outline on each cookie and then filled it in. I actually like that all the icing is plain white so the colored sprinkles can really shine. Whichever way you choose to go, have fun with it! 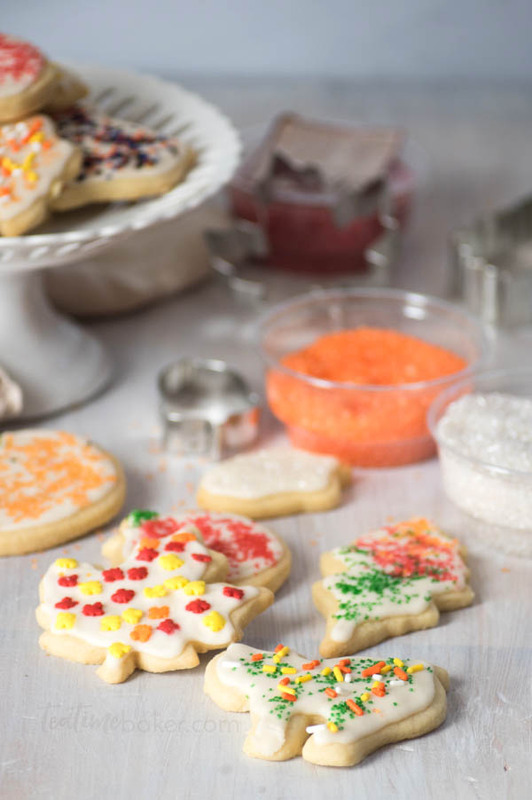 The kids and I are hoping to have some friends over during the holidays for a cookie decorating party. I’d love to line up all those fun sprinkles and let a new generation have their fun with them! 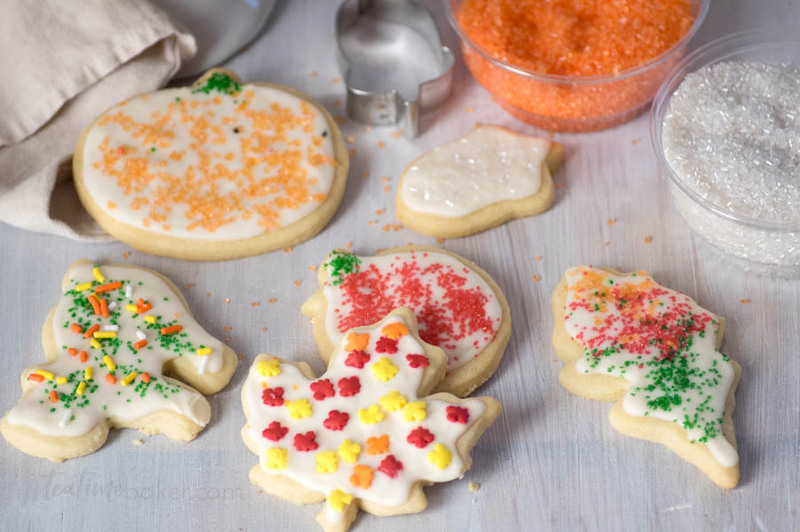 What is your favorite method of decorating for sugar cookies? Well, tomorrow is our last recipe. 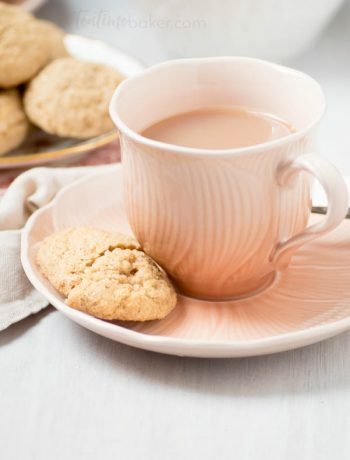 We’ll be wrapping up with Sweet and Spicy Gingerdoodles. 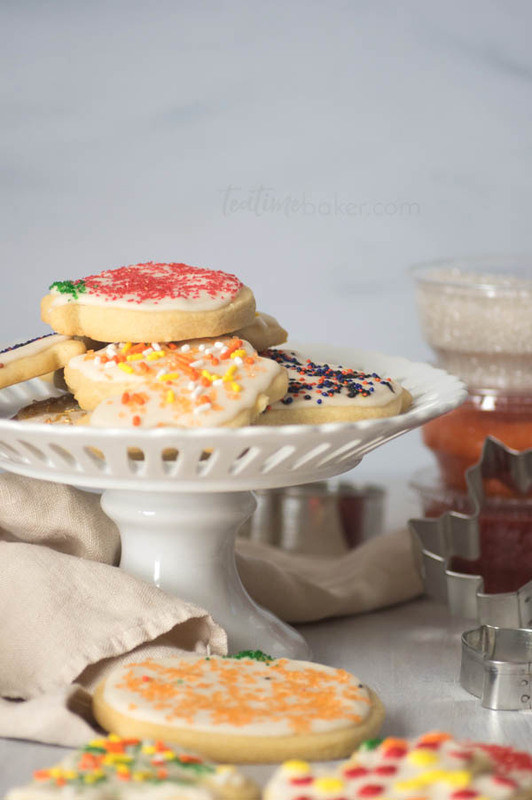 Soft, sweet and buttery, Grandma's Sugar Cookies are beautiful and delicious. 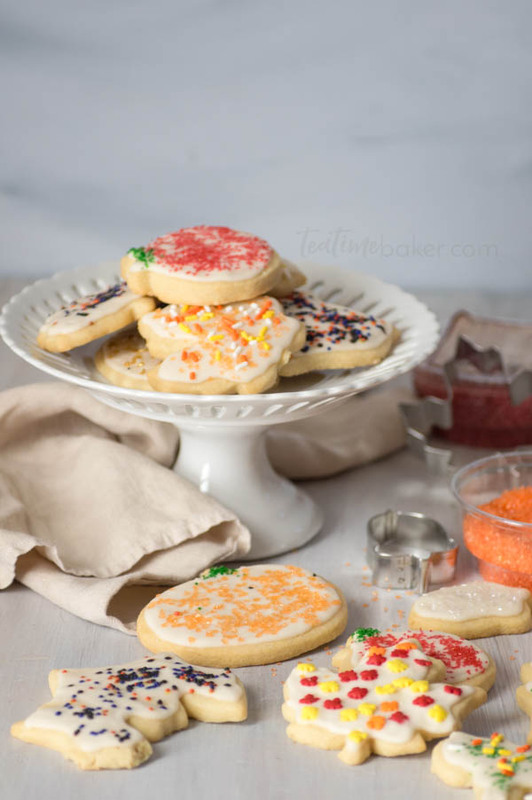 Great for decorating with kids or holiday cookie parties! In the bowl of a stand mixer fitted with the whisk attachment beat together the butter and sugar. Add the egg and vanilla and beat until fluffy. Preheat oven to 350 F (175 C) and line cookie sheets with parchment paper. If the dough has been in the fridge a long time you may need to let it rest on the counter for 5-10 minutes before rolling it out. Roll out the cookie dough on a lightly floured surface. I like to use wax paper on top to keep the dough from sticking. Roll out to 1/4" (1/2 cm) thick or a little thinner as evenly as you can. 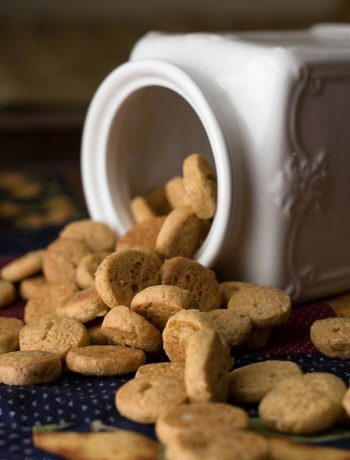 Cut out cookies in your desired shapes and put them on the cookie sheets about 2 inches apart. 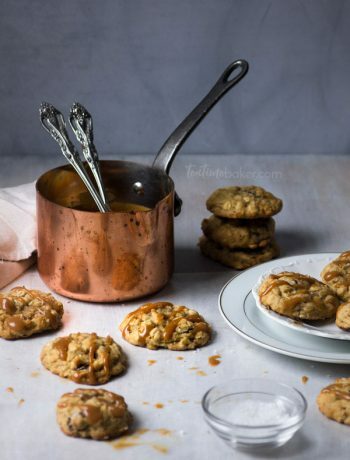 Bake until the edges of the cookies just start to lightly brown (about 10 minutes). Beat together sugar, butter and vanilla. Add milk one tablespoon at a time until it reaches the desired consistency. Keep it thick for spreading with a knife or thin it down to pipe it onto the cookies. Separate into bowls and add colors if desired. 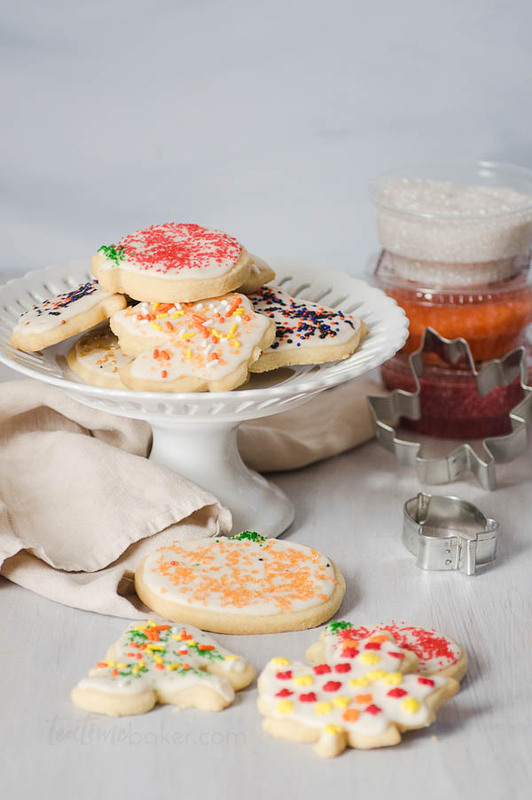 Ice the cookies and decorate with sprinkles!